Automatic transmission is a £1,100 option on S60s, V70s and S80s. The S40 and V40 LPG models qualify for a 60% Powershift grant towards conversion costs, worth £900. The S60, S70 and S80 LPG automatics qualify for a 75% Powershift Grant, worth over £1,400. Grant figures for other models are expected in early 2002. A fuel switch-over recall problem was confined to 200 S80 CNG models in Germany and none are believed to have reached the UK. Volvo's new lightweight D5 common rail diesel replaces the old Audi unit in V70s and S80s and is the first diesel engine available in the S60. This lightweight alloy block unit offers 163bhp and 251 lb ft (340Nm torque) from 1,750rpm. It is available with automatic transmission as a £1,100 option, though delivery dates are approximately 5 months. 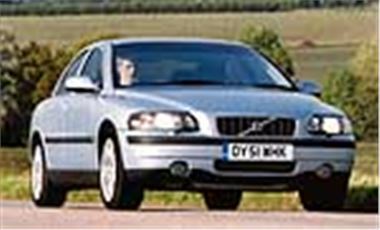 It will also be available in the V70 XC four wheel drive with manual or automatic transmission from Summer 2002. S60 D5: 171g/km CO2; Urban 32.5mpg; Extra Urban 54.3mpg; Combined 43.5mpg; S: £20,745; SE: £22,945. Insurance Group 14. V70 D5: 177g/km CO2; Urban 31.4mpg; Extra Urban 52.3mpg; Combined 42.2mpg; S: £23,955; SE: £25,955. Insurance Group 13. S80 D5: 172g/km CO2; Urban 31.4mpg; Extra Urban 55.4mpg; Combined 43.5mpg; S £22,335; SE: £24,235. Insurance Group 13. I can confirm that the S80 D5 is good to drive with decent handling, roadholding and grip, good ride comfort, plenty of poke and very relaxed cruising at 31mph per 1,000rpm. The S60 is a tad quicker, but did not seem to handle as well.